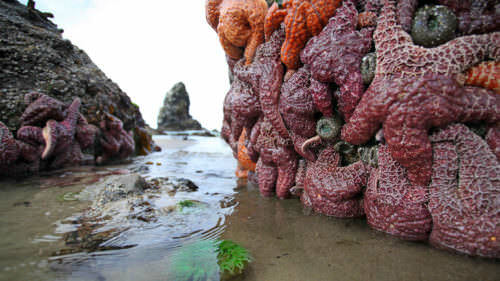 At first glance, the Oregon Coast might seem like something from a storybook, with towering sea stacks, forest-covered headlands, secret coves, boisterous wildlife and shorelines that disappear into the horizon. But anyone who has dug their toes into our sand knows: The Oregon Coast is real. It’s one of a kind. And it’s for everyone to enjoy. Oregonians don’t take this for granted. They hit the trail. They try new water sports. They fish for dinner. And they tell their friends all about their great coastal adventures. Fortunately you can too. Here are a few of the ways to create your own stories at the People’s Coast. Not sure where to start? 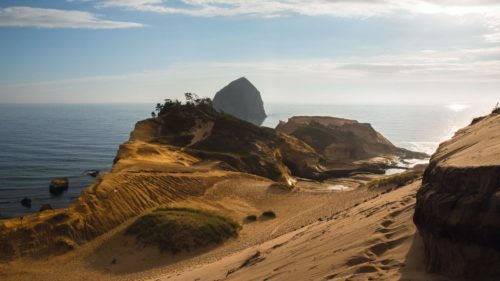 With 75 Oregon State Parks spanning the length of the Oregon Coast, from the mouth of Columbia River to the state’s southern border, it’s easy to discover some of the region’s most scenic and rugged stretches. 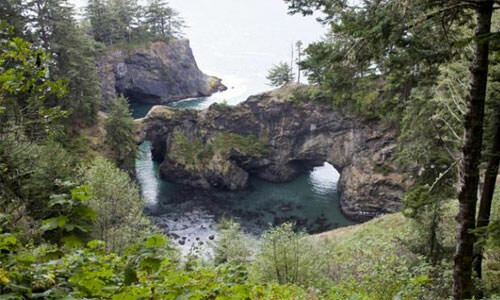 At the North Coast, take in diverse perspectives: at Fort Stevens, home to a Civil War military fort and a historic shipwreck; at Oswald West, where old-growth sitka spruce frame a sheltered cove; or along the Three Capes Scenic Loop, from the stunning Heceta Head Lighthouse, to the sheer basalt cliffs of Cape Lookout and the iconic Cape Kiwanda. Along the Central Coast, a spirit for adventure reigns free: on the glassy waters of Devil’s Lake; from the prime ocean view at the Whale Watching Center; atop sandy shores home to razor clams at Agate Beach; or near the nation’s largest expanse of coastal sand dunes at Honeymoon Memorial. The South Coast boasts an array of epic vistas: in between the blooming gardens of Shore Acres; below the massive rock formations at Face Rock; atop the green headlands of Port Orford Heads; at the secret cove beaches of Samuel H. Boardman and beyond. 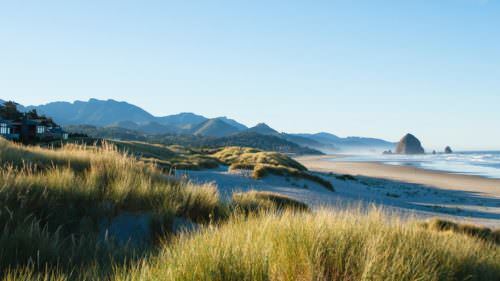 From beaches to rainforest to dunes, hikers will discover astonishing opportunities to explore the natural wonders of the Oregon Coast on trails in state parks from one end of the state to the other. Read more. 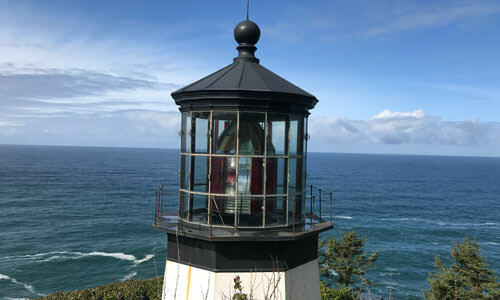 Conquer the capes — where Haystack Rock rises out of the waves just offshore, precipitous lookouts offer gorgeous views and a restored lighthouse looks over a wildlife refuge. Read more. 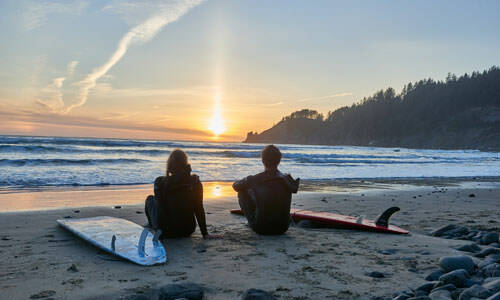 Whether it’s watching waves crash during a spectacular storm or walking along uncrowded beach on a sunny day before a sunset bonfire, winter is the Oregon Coast at its finest. Read more. You might hike through old-growth coastal forests or tall, grassy dunes and find yourself at a secluded cove dotted with surfers riding the waves. 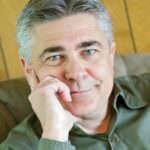 Feel free to watch, but if you want to join, you’ll need more than confidence to get started. 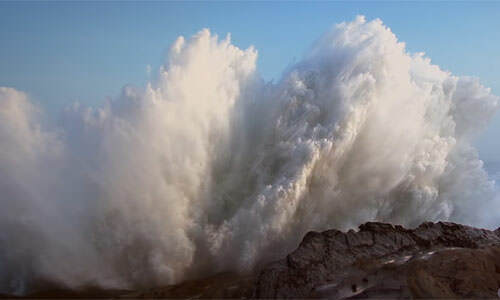 Newcomers to surfing at the Oregon Coast should come prepared. Your best bet is to get in touch with local guides. Oregon Surf Adventures in Seaside offers lessons and equipment to help you get wave-sliding in no time. Also out of Seaside, Northwest Women’s Surf Camps hosts female-focused multi-day retreats. Moment Surf Co. in Pacific City will get you ready to ride by Haystack Rock. 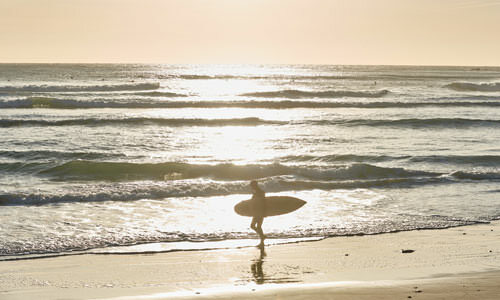 In Lincoln City, Safari Town Surf Shop is your go-to place for surf equipment rentals and lessons. Newport’s Ossies Surf Shop also caters to newbies, as does Waxer’s Surf Skate Shop in Coos Bay, to name a few. Sheltered by a cove blanketed with thick forest, volcanic basalt and sandstone cliffs is one of the most popular surfing destinations in Oregon. Read more. Cape Kiwanda and Haystack Rock form a natural breakwater that shelters Pacific City’s beach, making it a favorite spot for surfing. Read more. 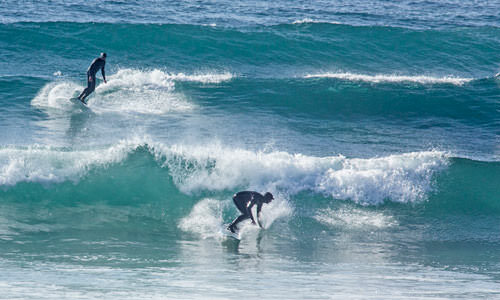 Brave the waves with help from a local surf shop that offers lessons for all levels and provides everything you need. Read more. For anyone who loves eating fish and shellfish, the Oregon Coast is the ultimate foodie’s paradise. With hundreds of seafood restaurants along the coastline — some of the best in the nation — you could take a trip solely focused on coastal cuisine. But if you haven’t tried fishing, clamming or crabbing, you’re missing out on half the fun. Visit Oregon’s ocean, estuaries and bays with a crabber and you’ll find a whole new type of adventure. It could be as easy as dropping a pot in the Necanicum River in Seaside. 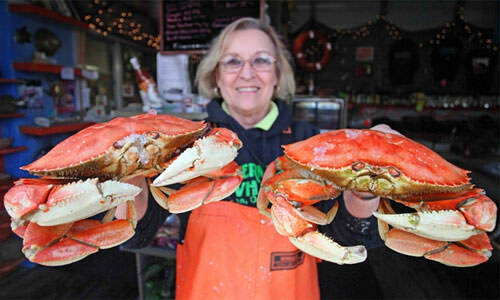 Or join a boat trip with Kelly’s Brighton Marina on Nehalem Bay, where they’ll even cook the crab for you. Oregon’s outfitters will keep you informed on current regulations and best practices. After all, dinner tastes better when you catch it yourself. 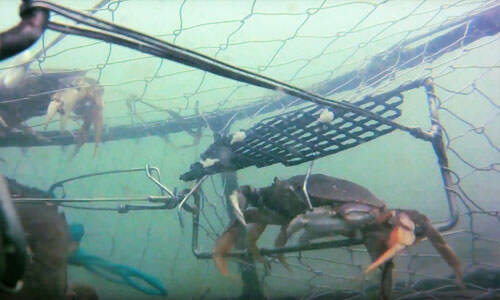 Crabbers have readied their pots for Dungeness season. All that delicious meat doesn’t just taste good; it’s something you can feel good about eating. Read more. Love shellfish but never have caught your own? You’re in luck; Lincoln City offers free clamming and crabbing clinics. Read more. 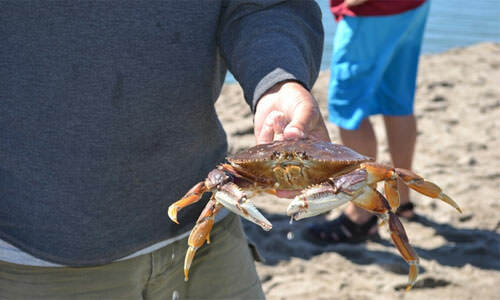 Learn how to catch and measure a crab with the Oregon Department of Fish and Wildlife, then join a cooking class to get the most out of your crustacean. Read more.